Attention motorcycle riders: State College of Florida, Manatee-Sarasota (SCF) is offering its Basic Motorcycle Rider 1 class for a special price of $175 for its upcoming 16-hour class that will meet 7 a.m. to 3 p.m. Wednesdays and Thursdays, August 12-13, 2015 at SCF, 5840 26th St. W., Bradenton. Completion of SCF’s Basic Rider 1 – Riding and Street Skills satisfies the Florida Rider Training Program Basic Rider Course (BRC) requirement for obtaining a State of Florida driver license motorcycle endorsement or motorcycle only license. Classes are taught by MSF and FRTP certified instructors and covers basic safety operations, effective braking techniques, turning skills, obstacle avoidance maneuvers and safe street-riding strategies. SCF provides state-of-the-art facilities for the classroom part of the course and smooth parking lot surfaces for the riding portion. Motorcycles and helmets are provided. For more information or to register, call SCF Bradenton at 941-752-5203 or visit scf.edu/motorcycle, where you can view the class schedule along with videos taken during the course. Maps and directions are online at scf.edu/maps. 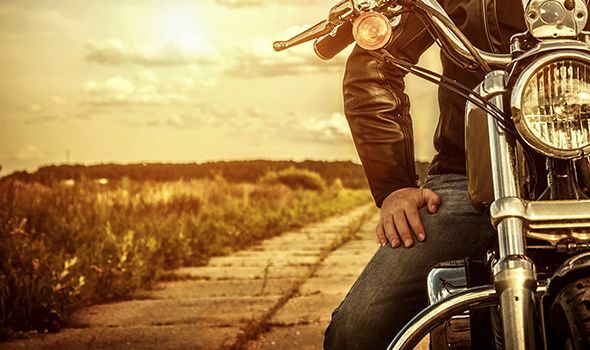 Promoting motorcycle safety has always been a top priority of Heintz & Becker. As part of our continuing commitment to motorcycle safety we have created the Heintz & Becker Motorcycle Safety Series which contains valuable safety tips and information for all of our readers. We are also committed to providing expert legal representation to injured motorcyclists and their families. Please call us for a free consultation if you or a member of your family has been hurt in a motorcycle accident caused by someone else’s carelessness.